Our Norsemen Lacrosse hit upon a number of firsts for the season as they got their offense going to finally get double digit goals and locked up a shut out by beating a hard fighting Mira Mesa team 12-0! It started off sloppy, but Valhalla erupted for 7 goals in the second quarter and never looked back. Plays were made all over the field as even defenders Sam Grube and Ben Sange scored a goal a piece. Freshman Tyler Peckham kept rolling with his first hat trick. Senior Blake Laframboise had two of his own and two assists. Senior Trent McLenachen found a way to pull the trigger with his smooth shot and led the team with four goals. 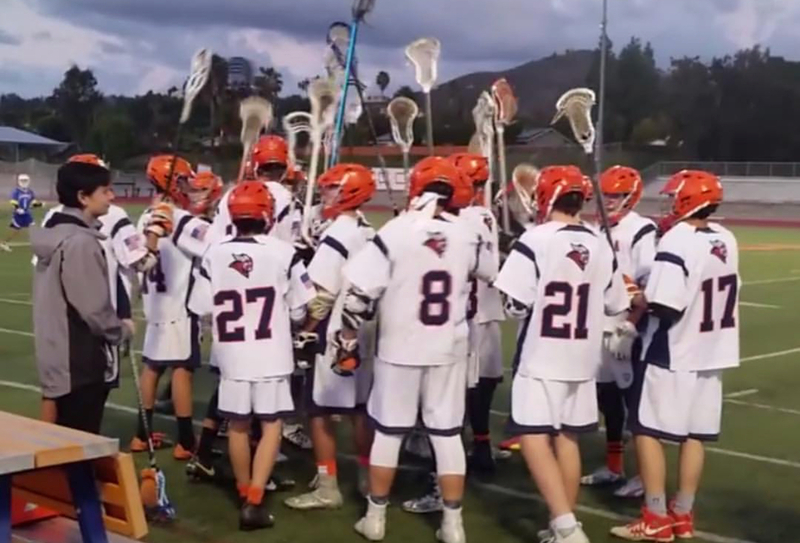 Just seven games into their 2018 season, this year’s Valhalla Lacrosse squad has been having fun and has already surpassed last year’s win total and have a 4 game win streak. They look to make it 5 at Hoover this Monday. Go Norsemen!